petition: DEMAND that Hotel Releases Tiger from its Tiny Cage!! DEMAND that Hotel Releases Tiger from its Tiny Cage!! 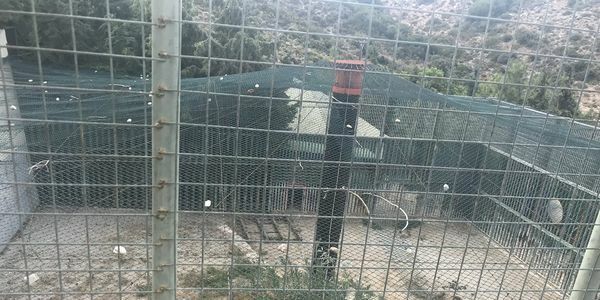 Esperos Village in Rhodes, Greece are keeping a tiger in a TINY cage in inhumane conditions! This cage is within thousands of acres that the hotel owns, but instead of creating a nicer, larger home for him, they have contained him to this tiny space. There are no trees or bushes, just bare dry floor. His only means of shade is a metal container, which in 40 degree heat is BOILING HOT!! People have thrown rocks on top of the netting that runs over top the poor tiger's enclosure to try and get his attention. Why is Greece letting animals like this live in such poor conditions? This is cruel and inhumane and the hotel need to release him!!! Please sign this petition to get this tiger moved to a better environment where he is properly looked after in a space which is big enough for a tiger! !